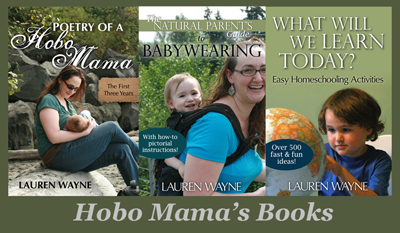 You'll love this week's roundup of interesting pictures on the topic of "Breastfeeding Alternatives" over at Natural Parents Network. See the way infants can be fed with love and respect when nursing isn't possible or not the right choice. 18. On the Road Less Taken, Without a Map! Can't believe you risked waking them! *pulls hair out* naaah! just kidding, well worth it. It's a lovely shot. Makes me wonder though - Kyra WILL NOT sleep under a blanket, no matter how cold it is, even if I cover her when she's fast asleep - she climbs out... I hope she'll grow out of it! Love it! Such a sweet photo. I need to attempt some more cosleeping pics before the girls outgrow the need. Aw, so cosy! 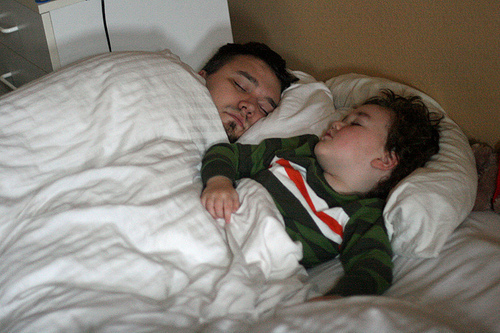 I wish we had more nice co-sleeping photos. Aww, how very sweet! I love seeing my boys sleeping together, too. There's nothing quite as precious and snuggly. Sleeping shots are always so peaceful. Such a sweet shot of your angels :) Always angels when they sleep, LOL! Her first year, I counted no less than a total of 327 pictures taken of her and family sleeping... Every single one as precious as the last. Co-sleeping is simply wonderful for moment like this. How sweet! They look so much alike!! Too cute. Some of my favorite pictures of my own boys are of them sleeping. I love it when Daddy is in there too. Great shot! So glad you were able to get it without waking them. I love it in the morning when I'm leaving for work and I catch my husband and Little Man sleeping. It is still to early for light to come in our windows though. I've got to use the bathroom light to snap a quick photo. I love watching my boys cosleep. It does the mama heart good. We loved to co-sleep as a family until the second little one came along. At that point, it felt like a cross between those two nursery rhymes: "Five Little Monkeys Jumping on the Bed" & "There Were Five in the Bed and the Little One Said..."